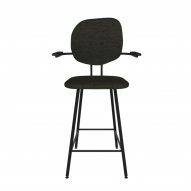 The customisable Maarten Baas 101 bar stool comes in two heights and a choice of eight different back shapes intended to resemble human faces, as well as 14 upholstery options and a selection of frame colours. 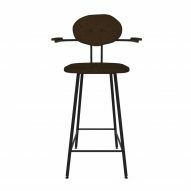 Previewed at Object Rotterdam 2019 from 8 to 10 February, the bar stools are an expansion on Baas' previous collaboration with Lensvelt, the Maarten Baas 101 chairs, which were first shown at the Salone del Mobile 2017 in Milan. 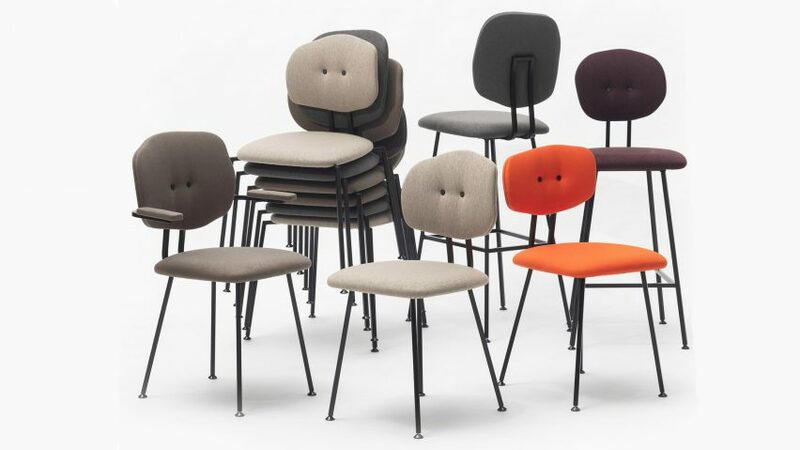 "It's a chair in eight different designs and infinite shades of upholstery with recognisable features: rebellious, endearing, and stubborn," said Lensvelt. 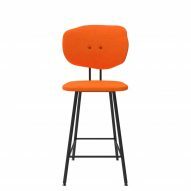 The bar stool, which can be stacked when not in use, is designed to be customised to a user's needs. It is available with or without armrests and with the option of either a high or low backrest. The backrest comes in a series of eight amorphous shapes that the designer likens to faces. Upholstery fabrics for the backrest and seat come in a "cheerful" selection of colours, including mustard, blue, orange and red. 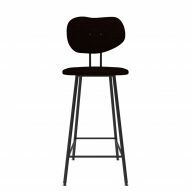 The frame of the bar stool is made of oak that can be stained in different colours depending on the user's preference. Both the existing Maarten Baas Chairs and the bar stools will be on show in the Haka building during Object Rotterdam 2019 from 8 to 10 February. Born in the Netherlands in 1978, Baas graduated from Design Academy Eindhoven in 2002 and found immediate fame with his graduation project Smoke, a collection of burnt furniture. The Dutch designer, who is based in 's-Hertogenbosch, has previously designed a ring-shaped rocking chair and a sofa based on a simple line drawing and a collection of unusually-shaped brass furniture. Furniture brand Lensvelt has previously launched a collection of "boring" office furniture intended to "restore the balance between work and play" in the workplace.